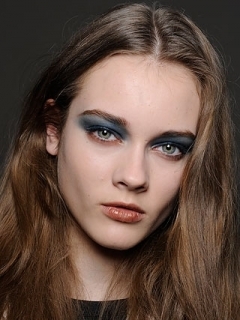 Fall 2010 Blue Eye Makeup Trend. There are various tricky makeup designs that might need more skills to master than the others. 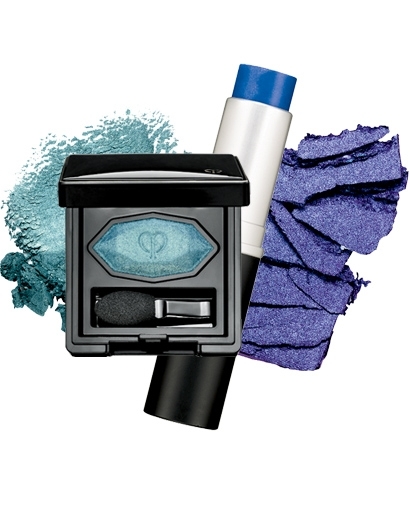 The Fall 2010 blue eye makeup trend offers us the chance to sport this delicate tone in its endless shades in a stylish and high brow way. In the past often considered a real challenge to master, now it's time to grab the makeup kit and spot all the skin-tone flattering and sight-pleasing tones to try out. Watch out for the upcoming trend and let your creativity lose when it comes of playing with the various party as well as casual makeup styles. 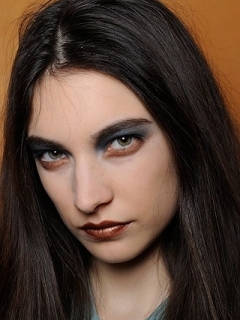 Bold eye shadows made their repeated and stylish appearance on the runway. Some of these can be worn without any difficulties paired with casual chic others might be highly recommended when preparing for a special and more festive event. Fashion gurus envisioned several makeup fantasies that would perfectly complement the alluring vibe of their style compositions. 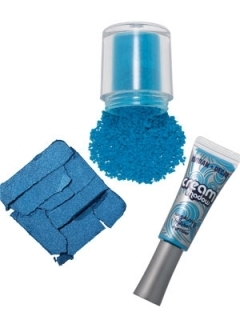 These would serve as the best examples on how to experiment with the Fall 2010 blue eye makeup trend according to your style aspirations as well as eye and hair color. This revealing insight into the color palette used during the fashion shows of the most respected designers is also a brief trick treasure chest on how to rock the look. 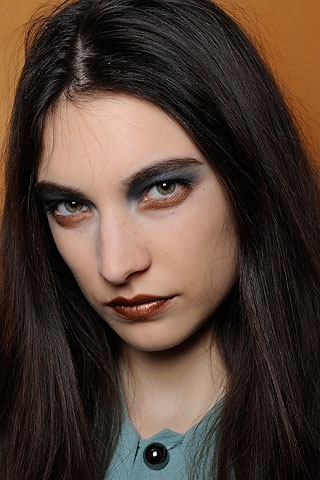 Derek Lam decided to embrace a more Grunge-inspired and vampy attitude towards makeup this Fall. 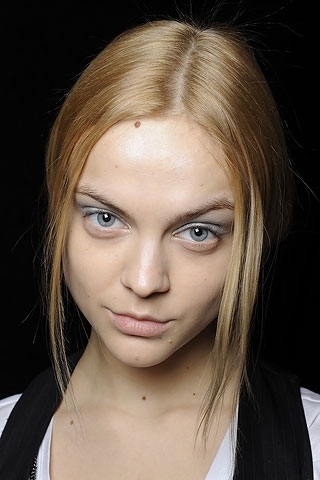 The result is absolutely fascinating especially for those who righteously considered blue a tricky and sassy shade in order to bring out the best of the various eye shapes and colors. 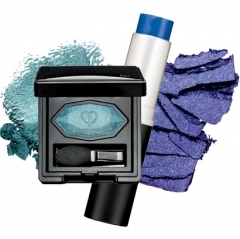 However it seems that the use of a bold blue shades paired with the matte face tone as well as the copper lips would pave the way for the overwhelming success of the collection. In order to sport this trend all you have to do is play with the various shades and shadows in order to create the illusion of a perfectly well-defined eyes. Diane von Frustenberg during her A/W RTW 2010 collection adopted a similar vision to that of Derek Lam. Models were sporting a special makeup that used, purple black as well as metallic blue to emphasize the eyes and the piercing look. Using it only to the inner corner of the eyes would illuminate the glimpse and make the eyes more prominent in spite of the masking smokey eye effect. This makeup style would perfectly suit all eye colors, highlighting the deep shade of both blue, green and even brown eyes. 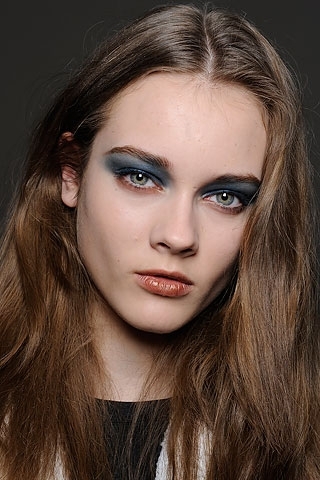 Create a multi-tone makeup and embed the blue shades into the whole structure of your Fall look. 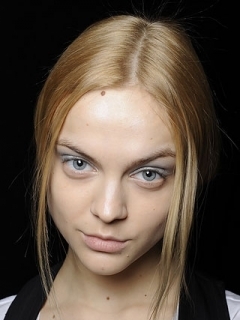 It's not a golden rule set by makeup artists that blue can be sported only in its most profound shade. Instead make sure you also have the lighter and less radiating shades at hand. These would be perfect to create a matter or pastel makeup design that would also make the right fashion statement this season. 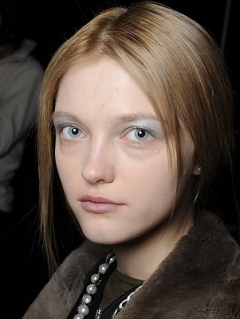 Jason Wu offers the best example for this Fall's muted makeup which appeals to the use of silvery and washed color tones to create the desired face-brightening and eye-opening makeup style. Those who would like to go for the lighter and candy makeup trend should consider this option that uses a block-colored application and leaves the lower lashline bare to further emphasize the out-of-this-world look. Instead complete the look with a tint of black mascara in order to crown your glimpse with a tint of sensuality and romance.